First 500 purchases receive the special edition package! A miniature .22lr version of the classic Mosin-Nagant 91/30 Rifle used by the Russians in WWII. 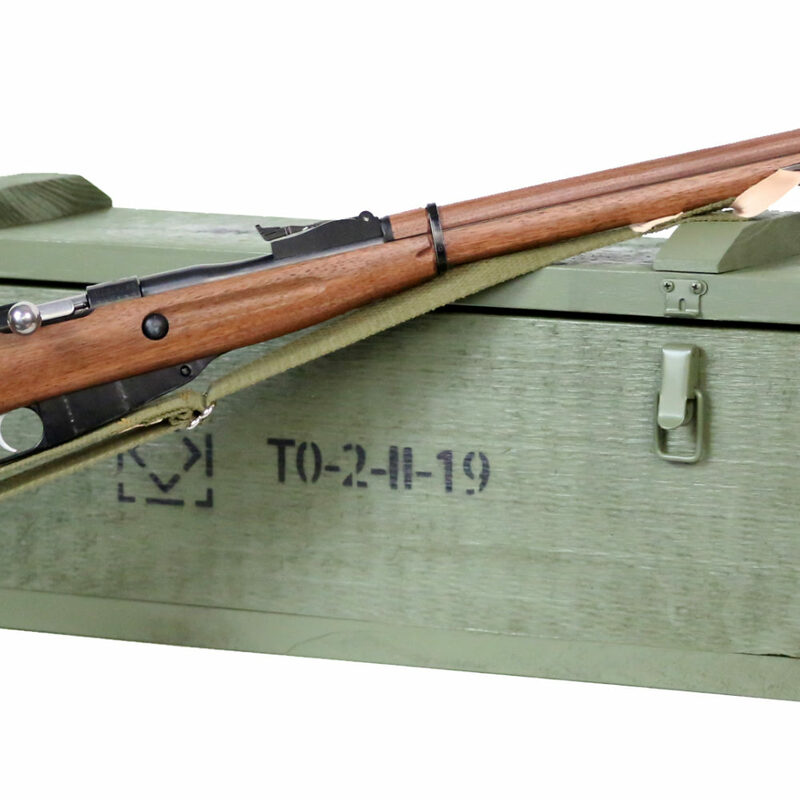 It is the first of a series of “Mini Mil-Surp” rifles, a collection of five WWI and WWII rifles scaled down for Youth shooters and chambered in America’s sweetheart, the .22lr cartridge. Now kids can shoot their own version of Mom and Dad’s cool military firearms! The KSA 91/30 has a 20″ barrel, precision-machined to ensure the durability and accuracy that is normally reserved for the “big guns”. The action is based on the proven, safe, single-shot Crickett design and has a straight-handled bolt, just like the original Mosins. The sights are also copies of the originals (scaled down, of course) and the walnut stock and barrel even have “proof” stamps and markings. The first 500 pre-orders will come with a custom wooden crate with matching serial numbers, a certificate of authenticity, selection of your own serial number and more.